Definitely having a throwback Thursday moment thinking about my old G-Shock days. Do you remember? It was the coolest watch to have and EVERYONE had one (in a variety of colors). Well guess what…it’s back and I am BEYOND excited to be partnering with G-Shock to tell you all about their new S series watch! Whether you are sporty or chic, this watch can cater to any look. 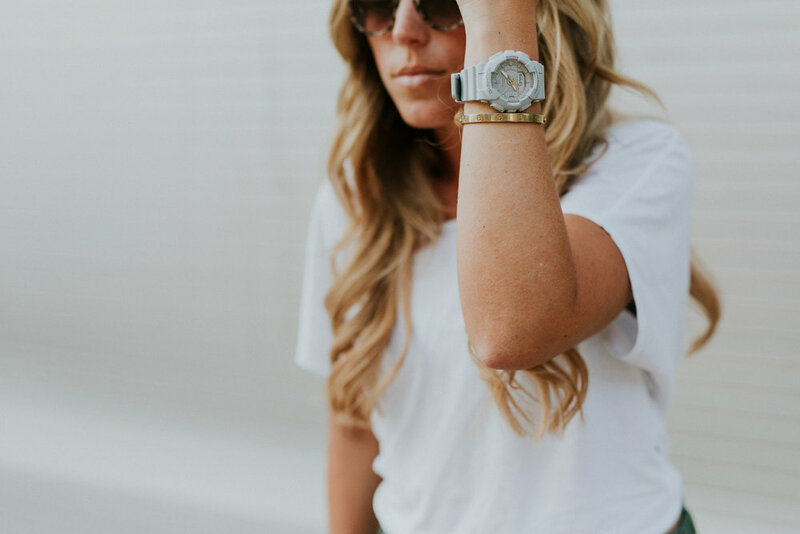 With its athletic style, the G-Shock S series definitely caters to the active woman, but still keeps her looking her best! In the gym, or on the go, this watch will help you stay on top of your fitness game with its step tracker, helping to keep you active throughout the day. Other bonuses with this watch is that it is both shock and water resistant, and you can utilize BOTH the digital and analog time keeping functions. Whatever you might need, this watch has you covered. And this light grey color is perfect for everyday wear because it goes with everything! 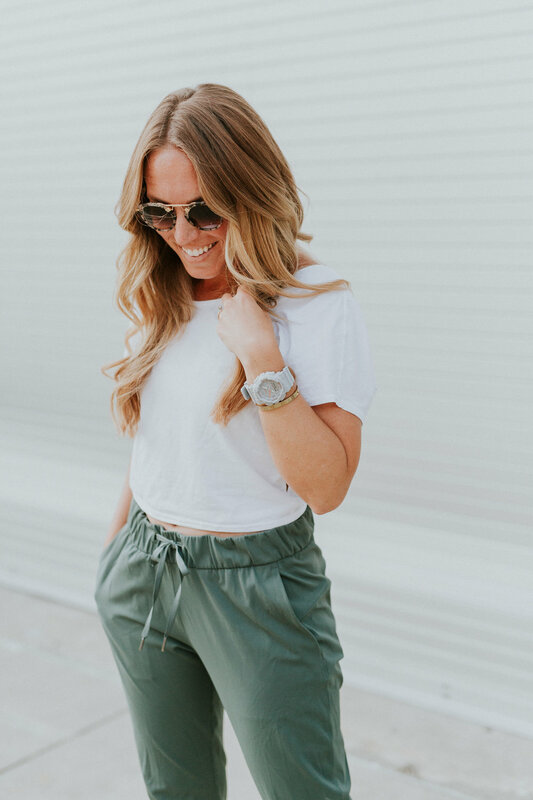 Be sure to check out G-Shock and all the different styles they have to offer as they continue to release designs for the tough, modern woman. If you are wanting that perfect, everyday watch, look no further because the S series will be perfect for you in both your lifestyle AND fitness goals! This post is sponsored by G-Shock. All thoughts and opinions expressed are my own.